Journey #1: To Moffat, in search of magic water. Chatting to my granny today about her father, who upon getting plurosy whilst in Dunbar one Winter was sent to the Moffat Hydro and made to drink hideous tasting water. And of a friend of hers from Lochmaben, who’s father whenever he felt unwell would send her to fetch a lemonade bottle of water from the well at Moffat. 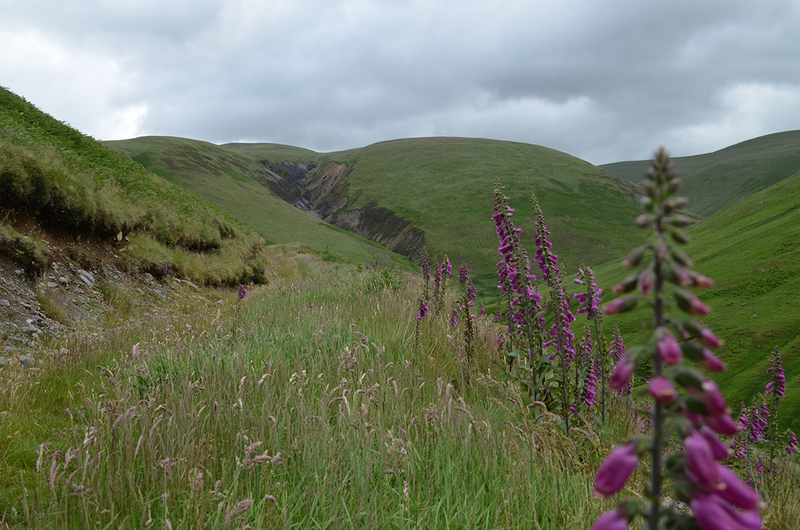 Whichever way you look at it, there’s something in the water at Moffat. 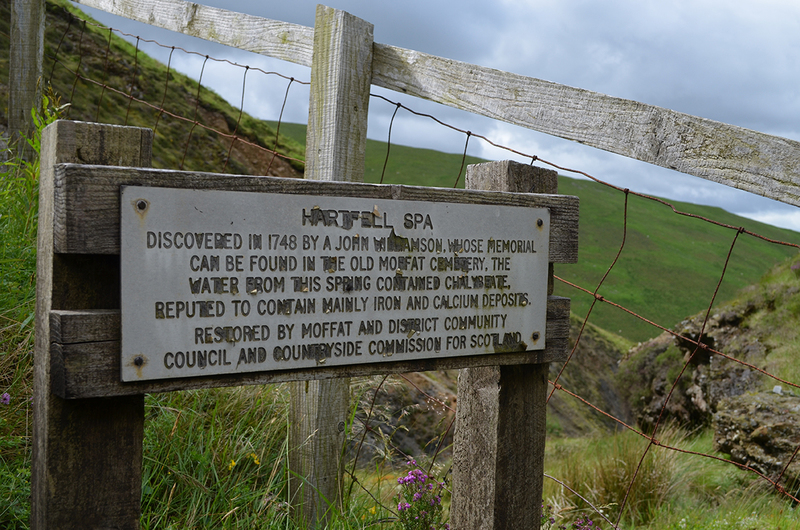 The most well known source of health-giving water is Moffat Well, but further up towads Hart Fell is a lesser known spring with, depending on your research a much more ancient history. (I suppose John may have ‘re’ discovered it after a period of time.) If you’re wondering, the taste is not much better than my great grandfather suggested, but as the rain water has filtered through the changing layers of geological strata (input from a geologist would be appreciated to set me straight on my ‘crumbly, black, chalky rock’, my ‘pale blue, slate-y rock’ and ‘iron mineral-y deposit’ definitions), it’s definitely taken on the flavour of the land. We gathered too many rocks, which are sat out in a neat row in the studio. This first journey, was in fact, a journey to the starting point, the source point from which all journeys will now emanate in the spirit of this project. The act of walking from my point, has always been to seek a moment entirely in the present – to move through space at exactly the pace of that moment, without past or future limitations, just the incline of the hill to slow the going. 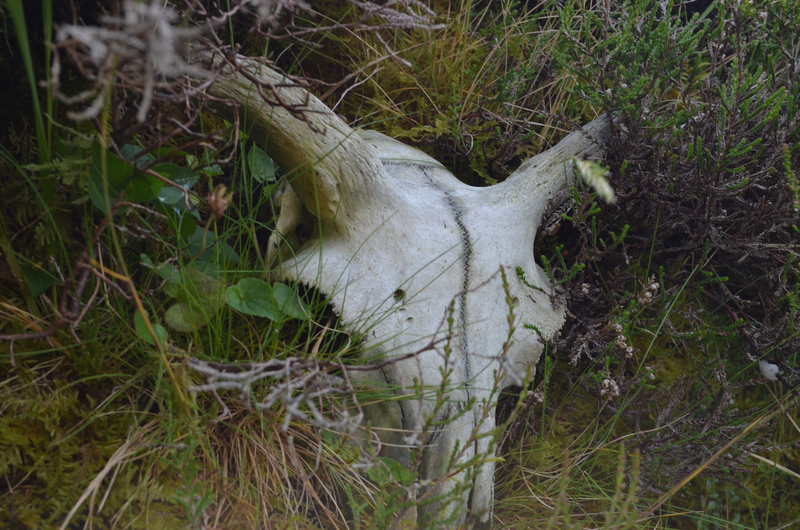 This project introduces a new layer, whereby journey through landscape becomes journey through myth, legend and ancient storytelling, placing ourselves to a degree within the narrative. It’s a fasinating, if difficult to grasp concept. Have ancient feet walked over this path? How did the view differ to characters of legend? What would Merlin have made of our windfarms?